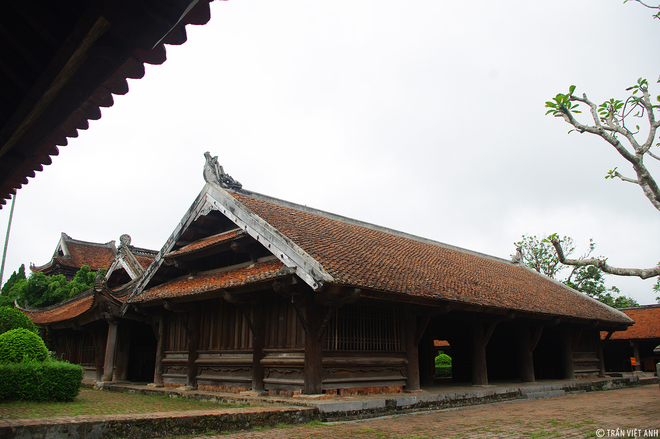 Legend had it that Duong Khong Lo built Keo Pagoda between 1133 and 1154. 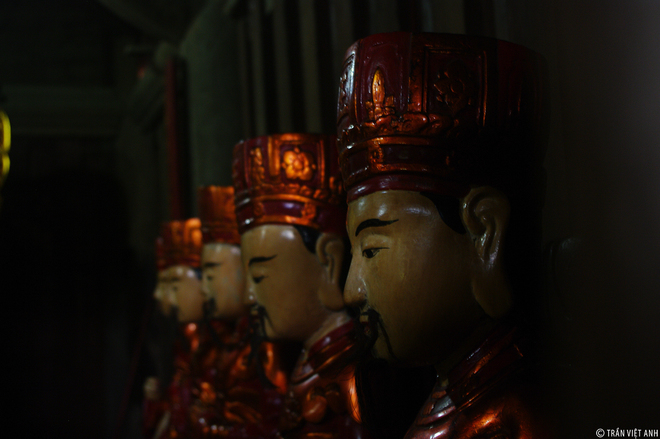 Duong Khong Lo is a name of a Monk and famous doctor in Ly Dynasty. 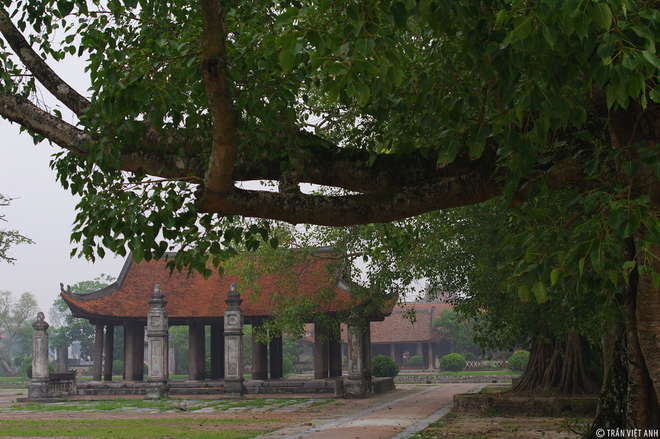 After successfully cured King Ly Thanh Tong from a serious disease, he was honorably given the title of Quoc Su (Royal Teacher) and plenty of money and land to build the pagoda. 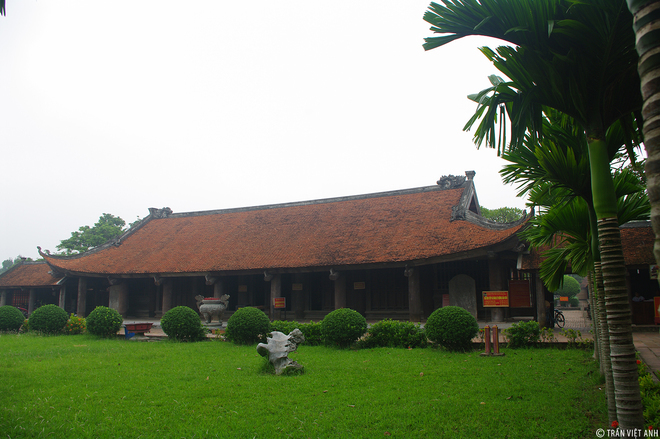 As far as 130 km from Hanoi capital, Keo Pagoda is located in Vu Thu District of Thai Binh Province. 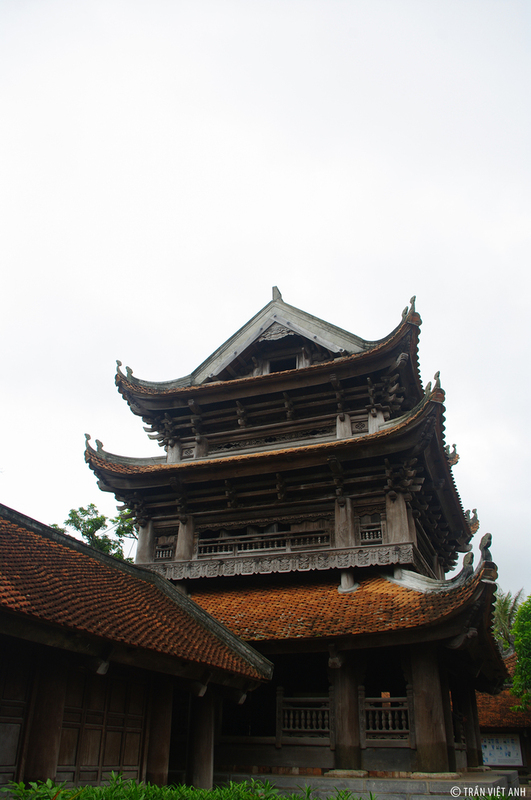 The pagoda is constructed by Duong Khong Lo, a Monk and famous doctor during Ly Dynasty. It was expanded and finished under Le Dynasty. 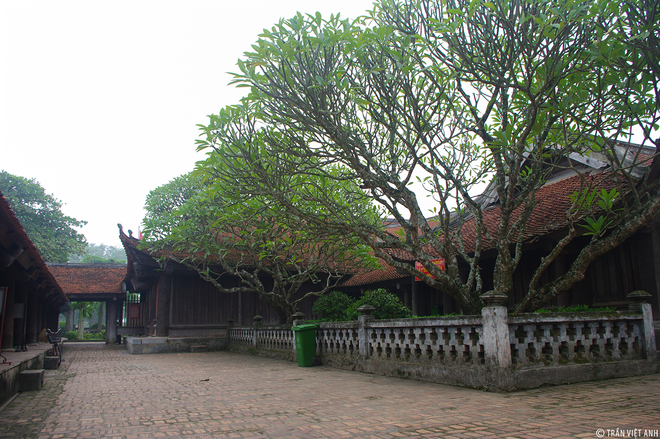 It is one of the oldest pagodas in Vietnam, which still remains mostly everything of original architecture. The first house after the gate is a red-roof one-storey with huge strong ironwood pillars. In front of it are green fresh grass garden and areca-nut tree lines. 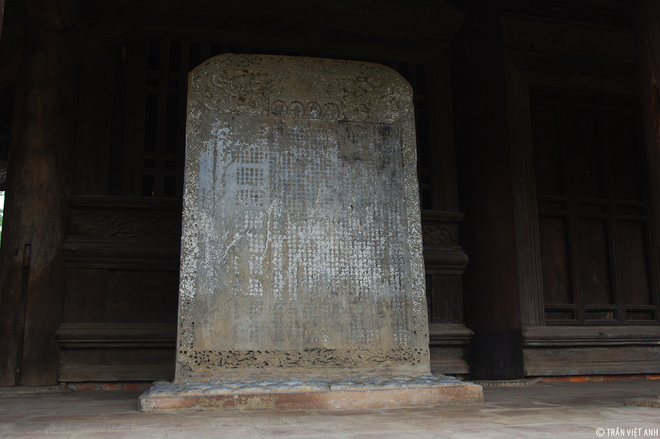 On two sides of corridors are two old stones engraving the history of building Keo pagoda. The stones record the total area of the pagoda (58.000 m2), containing different houses with different styles and functions. 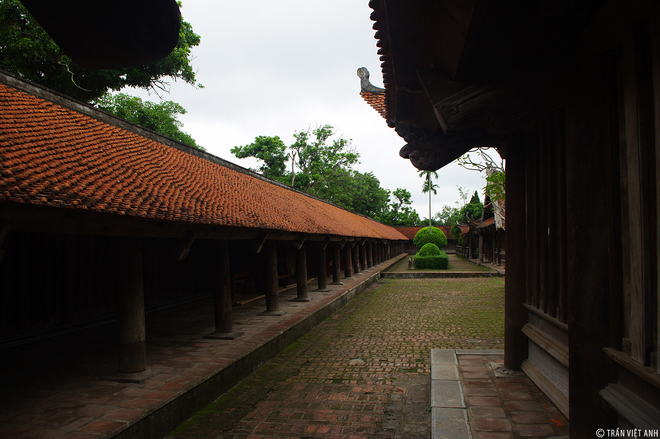 The remaining architecture today is 17 houses with very ancient Vietnamese style. 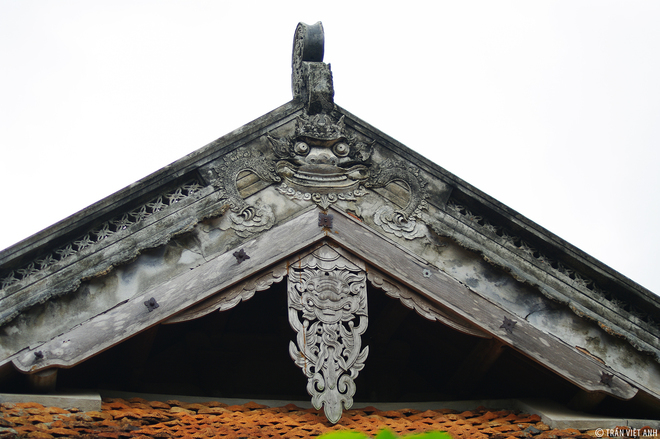 The roofs of the houses are covered with red bricks with “carp transforming to dragon” sculpture. 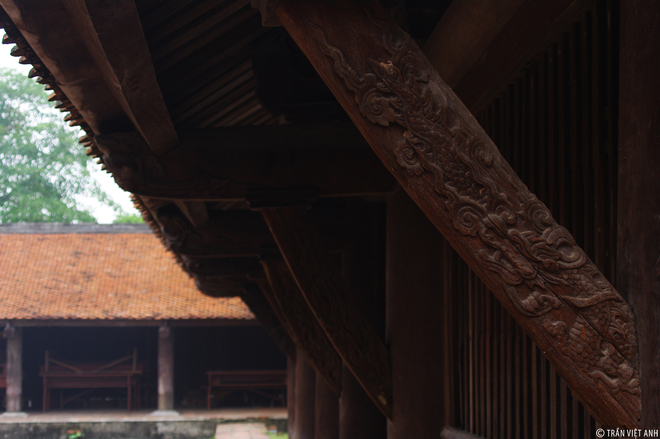 Wood, brick and stone are the main materials to build the pagoda. 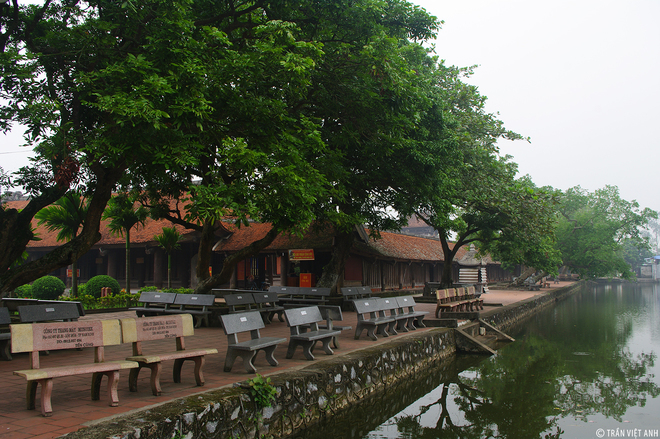 It is considered as a great gallery to keeps quintessence of culture, tradition and architecture of Le Dynasty. H10: With the custom of worshiping Buddhist priest Khong Lo-Ly Quoc Su, Keo Festival is held in two periods of time in the spring and in the autumn: on the fourth day of the first lunar month, and from the 13th to the 15th day of the ninth lunar month.